This photo was taken in southwest Missouri. I was out for a drive and saw this abandoned property that looked cool to photograph. I used county records to identify the owner, then contacted them on Facebook to get permission to take photos on their property. I like it. I think it captures an important subject that modern society has brought, where whole malls or industry`s goes upside down and leaves buildings like these behind. We build whole stadiums for some sports event and then let it rot, it must have a pretty big impact on the environment and many other things like the job market and the economy. Basically using up natural resources for no reason in the end, other then making money, or some political agenda. i see this as a side effect of the industrialization and capitalism. When money is the most important thing it leaves literal ruins. Thanks! What was so interesting to me about this property was the fact that it had 3-4 abandoned buildings, old cars, and even an old boat all left like this. 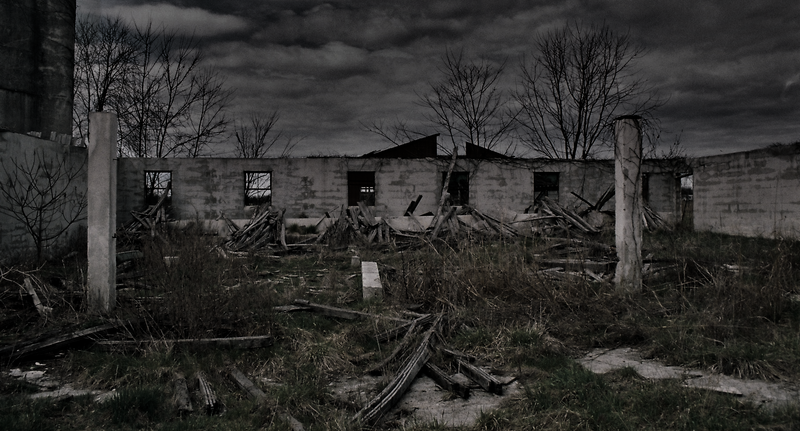 One of the abandoned buildings was even a house. When I found it I stopped by the nearest neighbor and asked who owned it. They said that over the years multiple people had bought the land and started to do something before it inevitably fell through. Honestly I'd love to do an entire series on a one buildings/things and publish it as a coffee table book someday. Maybe you could combine your photography with some urban exploration. I bet there are information out there for some interesting places in your area. Maybe a subreddit where you can ask if there is anything cool around you. Personally i prefer nature exploration. I have said before that the best way of getting into or maintaining a photography hobby is to shoot the things you love, your own interests. Lets say you enjoy graffiti, focus on that. I usually put in extra effort that way. Could you give us some idea of where this photo was taken or any other context?